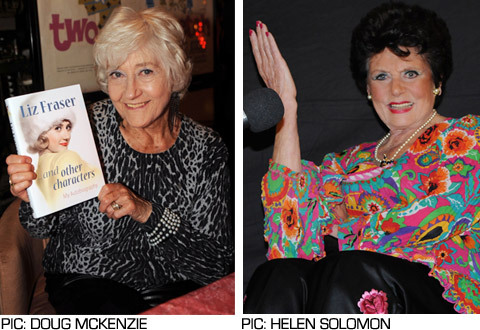 Thanks to everyone who came to London’s Cinema Museum for the launch of Eunice Gayson’s autobiography, The First Lady of Bond, on 13 October and the launch of Liz Fraser’s autobiography Liz Fraser… And Other Characters on 18 October. The museum was the perfect venue for our evenings of film clips, lively conversation and book signings. We hope to return in 2013.